JAMES McLACHLAN and HENRY C. DILLON headed into the final days of the 1892 campaign for district attorney with resolve, each going in for the kill. “Candidate Dillon...says he is after District Attorney McLachlan’s scalp,” a Los Angeles Times article of Oct. 27 says. Dillon, backed by the Democrats and Populists, had charged in a speech in Downey on Oct. 15 that expenses of the Office of District Attorney had burgeoned since McLachlan took it over in January of the previous year. He also alleged that the incumbent brought a futile action against Southern Pacific to enforce a judgment for back taxes just for show, the action being time-barred. The one exception, as McLachlan explains it, was a $250 payment to outside counsel whose opinion was requested by the state Board of Examiners regarding the validity of courthouse construction bonds; McLachlan couldn’t provide the opinion because he was representing the county in the sale of those bonds. With respect to the Southern Pacific litigation, McLachlan says he did not make a campaign pledge to file a complaint because he didn’t know about the matter until two weeks after he entered office, and that there had so far been two rulings in the case that the action was not time-barred. The Los Angeles Herald, a Democratic Party partisan, comments in an Oct. 30 editorial that “notwithstanding Mr. MacLachlan’s denials,” the auditor’s report for 1891 does show payments to outside counsel in the amount Dillon claimed. This did not, however, refute McLachlan’s explanation that all but $250 of the sum was for expenses incurred before he took office. 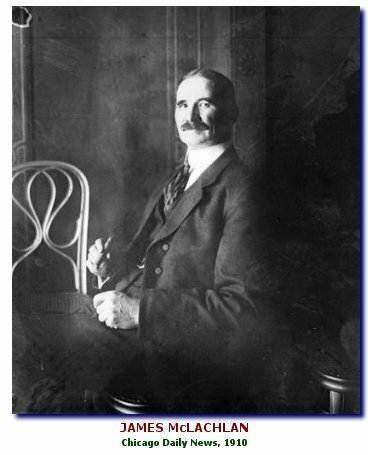 The affidavit declares “that not one dollar has been paid out for legal services rendered to the county in aiding Mr. McLachlan; that Mr. McLachlan, at the commencement of his term, expressed a wish that he be allowed to alone discharge the duties of District Attorney; that certain county matters then in the hands of Campbell, Houghton & Silent were by those gentlemen withdrawn from, at the wish of Mr. McLachlan” and that the firm was paid for its services to date. The election adversaries continued to accuse each other of distortions in statements issued right up to the end. As it turned out, Dillon did get to be district attorney. The tally in the Nov. 8 election was 10,205 votes for Dillon, 9,296 for McLachlan, and 1,018 for the Prohibitionist candidate, W.E. Cox. While it is true that it was a “Democratic year,” with Grover Cleveland regaining the presidency that was wrested from him four years earlier, that doesn’t explain Dillon’s victory. Although the Los Angeles electorate sided with Cleveland, it also favored several Republicans seeking county offices. Party politics had perhaps diminished in significance in 1892. In light of new legislation, as reshaped by a state Supreme Court decision on Oct. 15, it was no longer possible to vote a straight party ticket by stamping an “X” by the name of the party at the top of the ballot. It might well be speculated that Dillon made such an impact with his Oct. 15 exposé that McLachlan’s rebuttal in the waning days of the campaign came too late to dislodge notions that had set in. Dillon’s term in office as district attorney, from January 1893 to January 1895, was uneventful. The district attorney did not pursue the action against Southern Pacific for $50,000 in back taxes. An editorial in the Express on Oct. 8, 1894, endorsed the Republican candidate for district attorney, John A. Donnell, and did not mention the Democratic-Populist nominee, E.C. Bower, by name. The gist of it was that Dillon was a Democrat, he had done a shoddy job as DA, so voters should elect a Republican. Nonetheless, after leaving office, Dillon was dissatisfied with the amount he had been paid. His term was two years, and he was compensated for 24 months. Not enough, Dillon declared. His term, by law, began on the first Monday following Jan. 1, 1893—which was Jan. 2—and ended when his successor took office on the first Monday following New Year’s Day in 1885, Jan. 7. As he figured it, Jan. 1, 1895 marked the completion of 24 months of service, and he wanted to be paid for the five days he was in office after that. Dillon brought an action in mandamus against the county auditor to compel him to pay out an additional $54.50. Los Angeles Superior Court Judge Lucien Shaw—later to become chief justice of California—granted the writ, and the county appealed. The appeal was heard by a department of the California Supreme Court (the Court of Appeal not yet having come into existence). Representing the county was the new district attorney, Donnell, and his chief deputy, George Holton, a former DA. Dillon represented himself, along with M.W. Conkling, who went on to become an Imperial Superior Court judge, then San Diego city attorney. Dillon later served in Long Beach as president of the school board and as city attorney, as well as a Los Angeles Superior Court commissioner. In his earlier days, in Colorado, Dillon was a proponent of women suffrage. On Aug. 15, 1877, he was a speaker at a rally in Denver in favor of that movement. In his later days, he was an advocate of the initiative and referendum, serving in 1896 on the executive committee of the newly formed National Direct Legislation League. In 1900, he became president of the Los Angeles-based Yankee Doodle Oil Company, and proceeded to advertise for investors. He was listed in ads as general counsel for the Eastern Railroad Company, as well as “Ex-District Attorney of Los Angeles Co.” The vice president was John D. Fredericks, identified as deputy district attorney. Fredericks became the county’s DA in 1903. Dillon died April 10, 1912, following a nervous breakdown. McLachlan and another former DA, George S. Patton, competed in a congressional race in 1894 which was that year’s hottest contest, and one in which the name of a third ex-DA, Stephen M. White, was bandied about. Editorial attacks on Patton by the Express were incessant. Rather than centering on Patton’s inability to complete his term as district attorney owing to frail health, and the prospect that he could not withstand the rigors of service in the House of Representatives, the editorials hammered away at the theme that Patton, a Democrat, would be the puppet of the Democrat White (whom it denominated “Boss White”), a member of the U.S. Senate from California. McLachlan was handily elected, serving from March 4, 1895-March 3, 1897; failed to gain reelection; was elected to four successive terms, serving from March 4, 1901-March 3, 1911; and lost a race for reelection in 1910. He died Nov. 21, 1940.